Each year I make a point of saving a few seeds, but this year I thought I might make a more concerted effort. In chatting with a few friends, I realized that some people do not collect seeds because they are unsure what the seeds look like and how to save them. Now when I started looking for info to share, I came across Mr. Brownthumb. 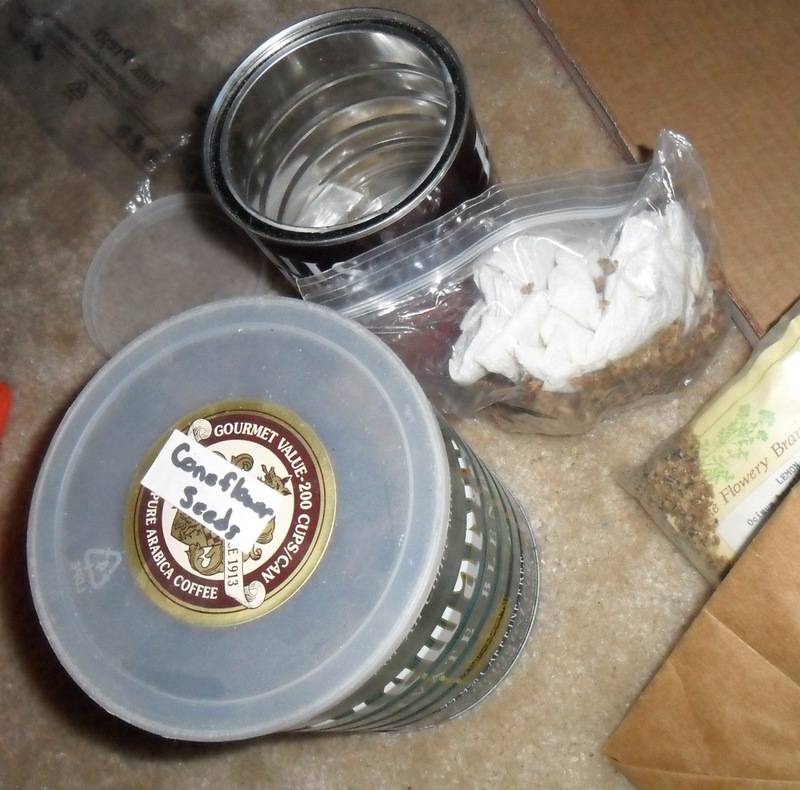 He has several great blog posts including one on making a kit for collecting seed. Now I am not as organized as he is, but I do collect some of the same seeds. 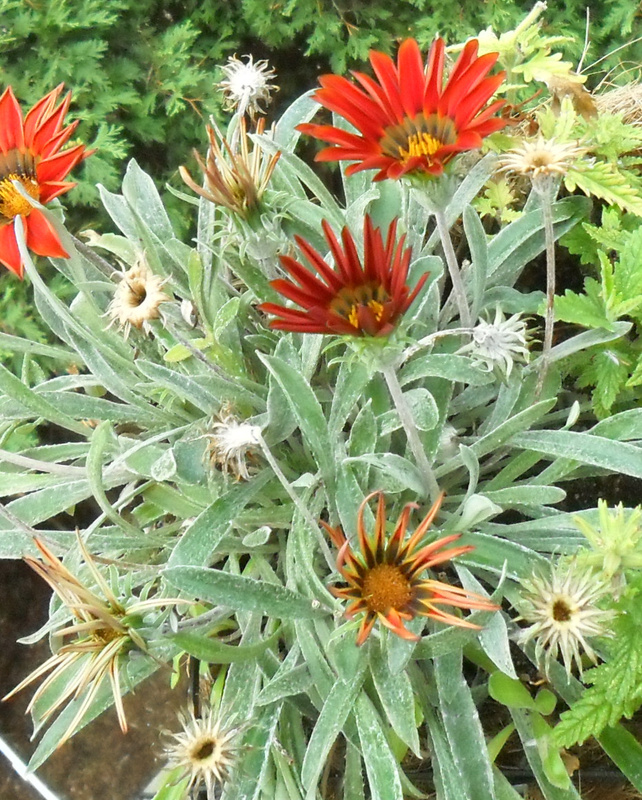 The largest family of flowering plants is Compositae (Asteraceae). 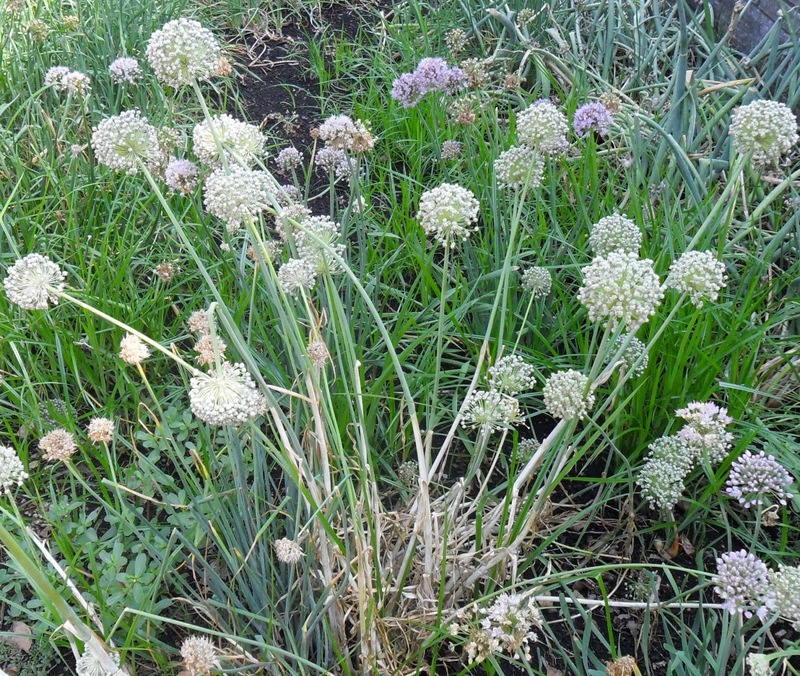 So if you are hoping to save the seed of flowers from your garden these are probably the ones you are trying to save. 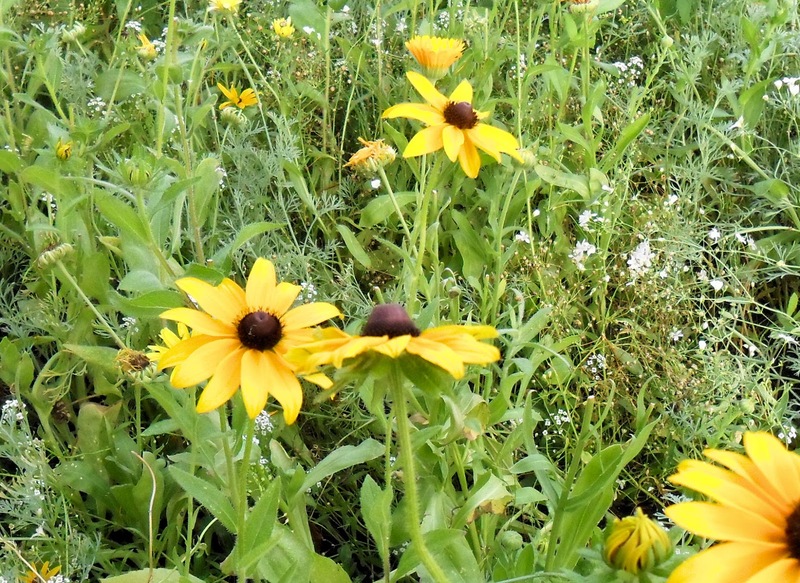 The Aster family includes asters, sunflowers, Black-eyed Susans, rudbeckias, daisies, gazanias, calendula and zinnias. Another place to look up information on seed saving is the seed saving forums on Garden Web. 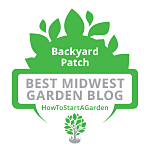 I experiment with various annuals each year, trying a new basil or two, growing a different dill or a unique nasturtium color combination. When I discover a plant I want to try again, I will save the seed. I could say it saves you money buying seed in the spring, but I cannot say seed saving has ever saved me from spending once the catalogs arrive. You want to save seeds when you have a good year and this was a very good year, which got me to thinking about being more organized. You want to pay attention to the weather report and harvest before a rain or highly humid day, moist air can cause a dried seed to expand and crack ruining it for spring germination. 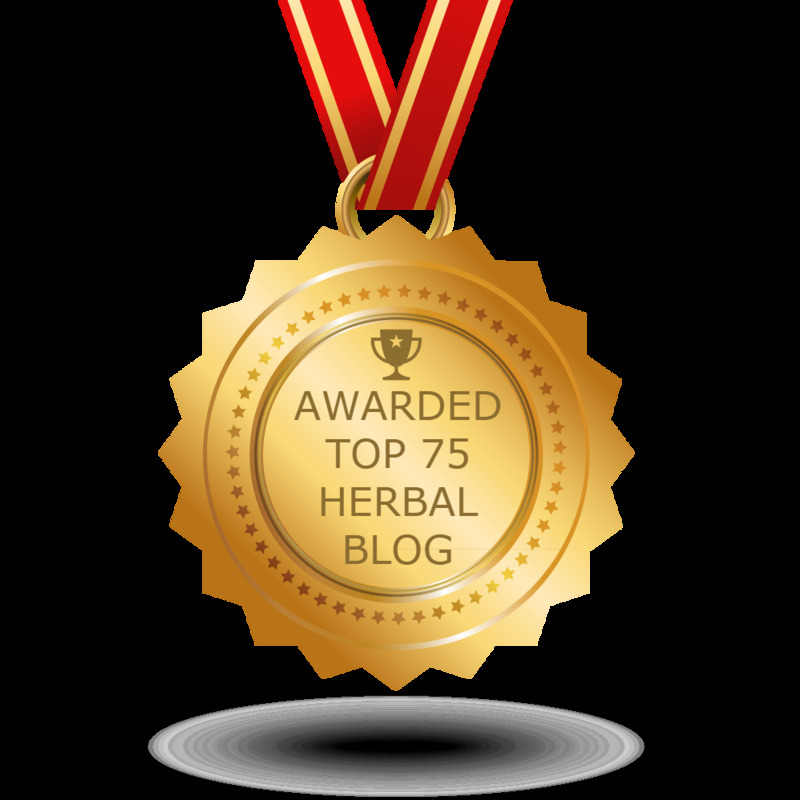 On herbs it is hard to miss the seeds as they tend to be obvious, like on dill or basil. But flowering herbs like Nasturtiums are a bit harder to locate. 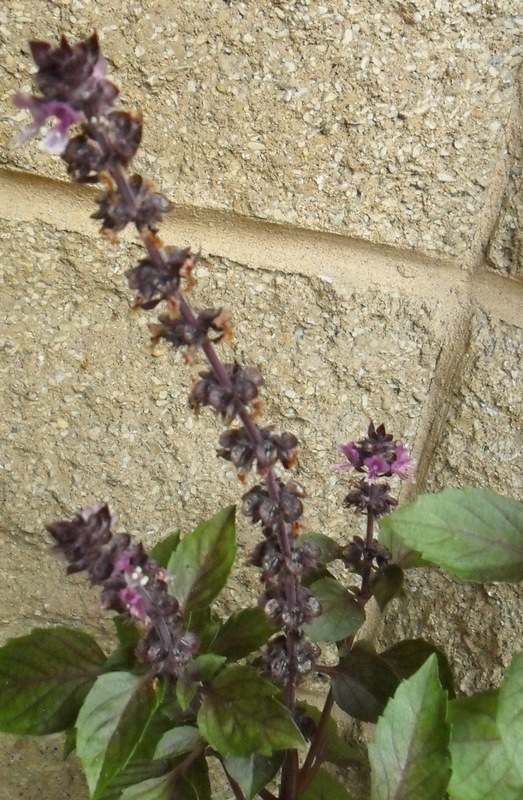 Plants in the Mint family may produce many tiny flowers among a stem, like basil or Anise hyssop. These are a spike of tiny flowers each with a seed nestled back at the stem. 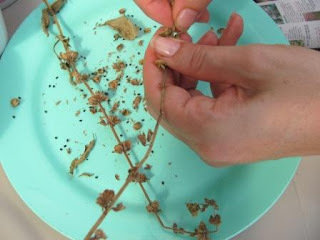 Collect these seeds by shaking them inside of a paper envelope. Cutting off the stalks and hanging them upside down also helps release the seeds inside. 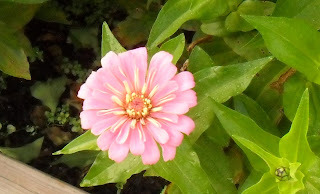 Of course this assuming you let them flower which I do not always do, clipping the flowers off as soon as I see them. However, come September I choose the best looking plants and let them flower and go to seed so I have seeds to collect. 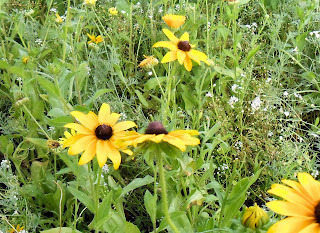 With Coneflowers like Echinacea or black eyes Susans. (Aster Family) the center of the flower is black and is actually made up of smaller flowers that each produce a seed. You will be capturing that entire center as the seed head. Compositae flowers, like those of calendula and zinnia, have tight bunches of petals, with no “eye,” but the seeds develop right in the center. With a flower like a dandelion the ends of the petals are the seeds so you want to collect the flower head before the flower is entirely faded, because it will blow away in the wind taking your seed with it. As you see the key to flowering plants is to look near the petals. The colorful petals attract the pollinators, then once pollinated die back or fall away leaving the seed exposed so it can be scattered. 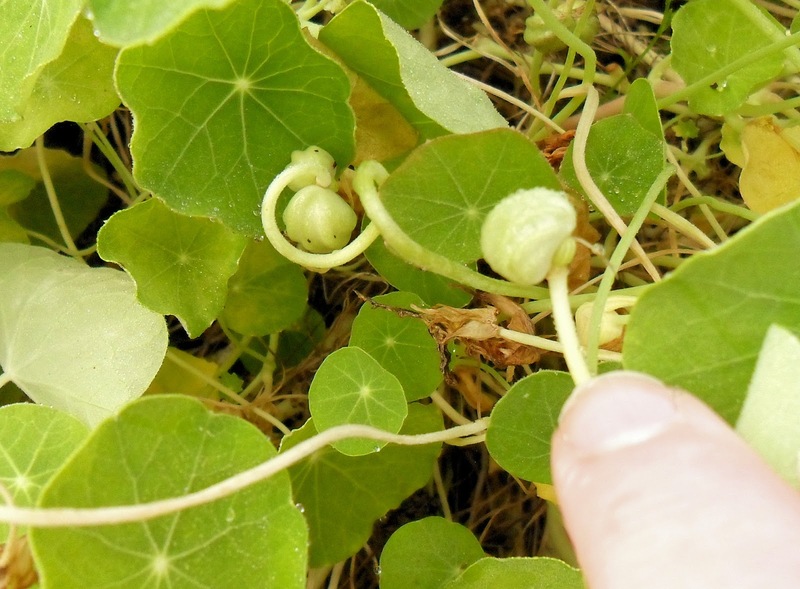 Nasturtiums have a very open flower that does not develop a seedpod, instead the seeds hang below the flower in a little bundle. But all you have to do to find them is sweep back the plant flowers and they will be hanging underneath. 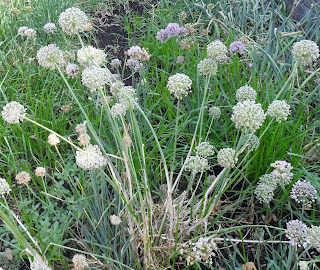 Alliums, or chives, are a flowering bulb, but the attractive puff ball flowers do produce seeds as well. You want to cut the flowers before they drop, but after they seem spent. 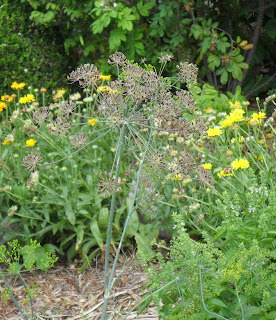 If you wait too long the seed will scatter before you collect the flower head. Seeds from vegetables and fruits like tomatoes, peppers, cucumbers are found inside among the flesh. To save seeds you need containers to keep them in while collecting and those to store them in once collected and separated. I generally collect in paper bags and paper envelopes so any moisture in the seeds is not trapped in a plastic container. Once the seeds are dry, then I place them in a new envelope or other sealed container to improve their longevity. If I have a collection of envelopes, I place those in a canning jar or a coffee can. Record the information about your plant when you harvest the seed, plant name, soil conditions, and height of the plant. You have to do it when you harvest because even 15 minutes later you will forget what you cut from where. Don't crowd too many plant stems or seed heads into a small envelope when you're harvesting seeds. To dry the seeds after I collect them I spread them like my herbs on paper towel in cardboard trays. Or I leave them in the paper bag I used to collect them. You want to remove as much plant matter (leaves, petals, etc.) as you can to avoid mold. 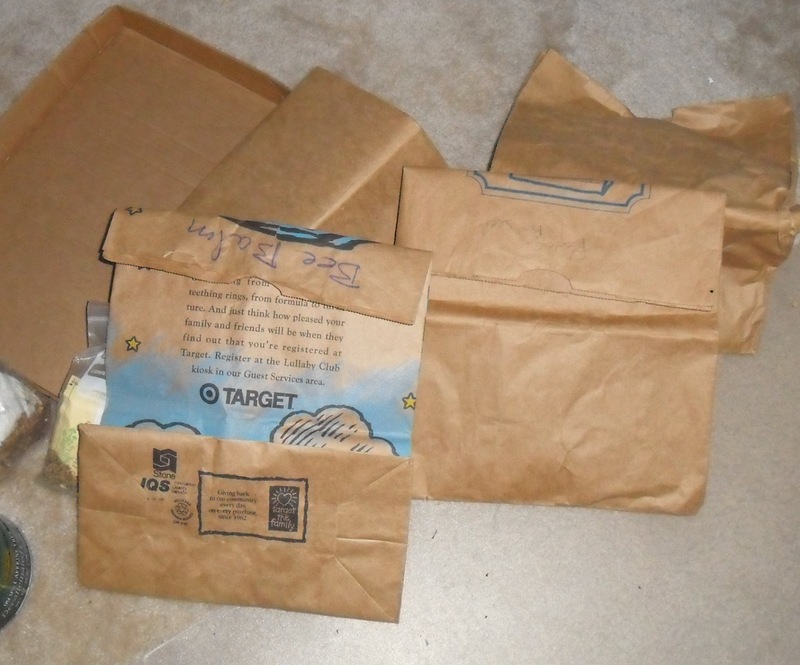 If leaving them in a paper bag you want to shake the seed heads to keep them evenly drying. I will actually stir those on the tray with my fingers occasionally. You only need a few days to get the seeds dry if conditions are right. Once the seeds are dry place them in small envelopes for finally saving. You can use a plain envelope. Or you can make a specialized one or even a decorative one. If you like a reminder of what to put on the envelopes of seed, try this template for seed envelopes. Once you have all the envelopes labels, place them in a glass jar with a tight fitting lid to keep moisture from coming back into to the seed damaging its germination rate. hey mates, love this post. my question: is it safe for my seeds to be placed in refrigerator? Putting seed in the refrigerator will not really prolong the life of the seeds and may shorten them because of the drying effect of air circulators in the fridge. Placing them in a cool dark place which has a constant temp is much better.